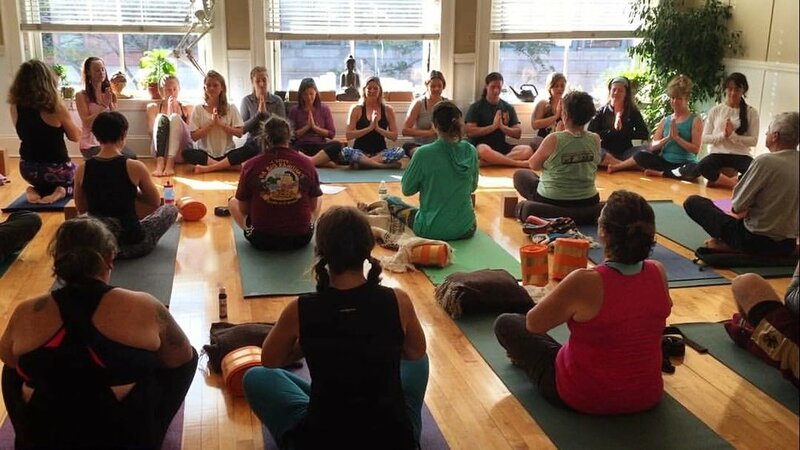 Our mission at the Gloucester Yoga Collective (GYC) is to create a space where students and teachers alike can practice and grow together in a safe and fun environment. The GYC is comprised of a diverse group of yoga practitioners and educators with unique backgrounds. Our collective focus includes a variety of stylistic approaches to yoga. While the classes may vary, the GYC is tied together by our dedication to sharing the benefits of yoga in a way that is accessible to everyone. We encourage students to explore all of our classes to find what works best for them. All levels and all bodies are welcome. GYC - Yoga for Every Body.